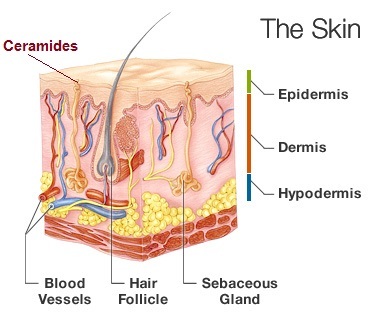 Ceramides are a type of lipid that is abundant in skin tissue, where it exerts both structural and signaling functions.Its structural function includes maintaining the barrier function and retaining water content and hence integrity of the skin. Its signaling function includes regulating the proliferation, differentiation, and apoptosis of the cells. Ceramides have been used to treat skin conditions that are a result of disrupted barrier function, such as atopic dermatitis, irritant/allergic contact dermatitis, and aged skin. Synthetic ceramides are superior to natural ones in terms of safety and toxicity. BulkActives sells safe, synthetic ceramides, extracted from plant cells, we do NOT sell natural cermides extracted from the bovine central nervous system.